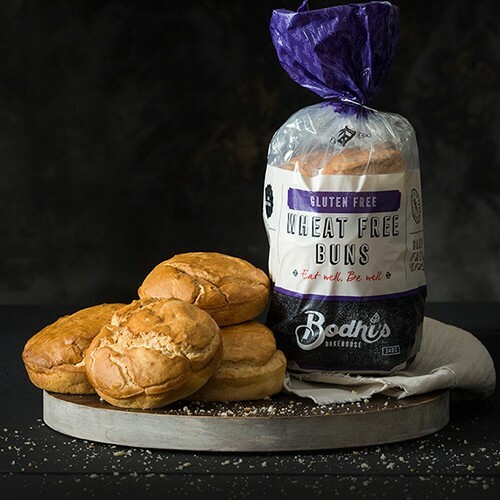 Bodhi’s Wheat Free Gluten Free Bread Crumb is a great crumb mix that includes all the goodness of wholegrain soy and resistant starch rich maize starch. Available to purchase online or from these WA stores. 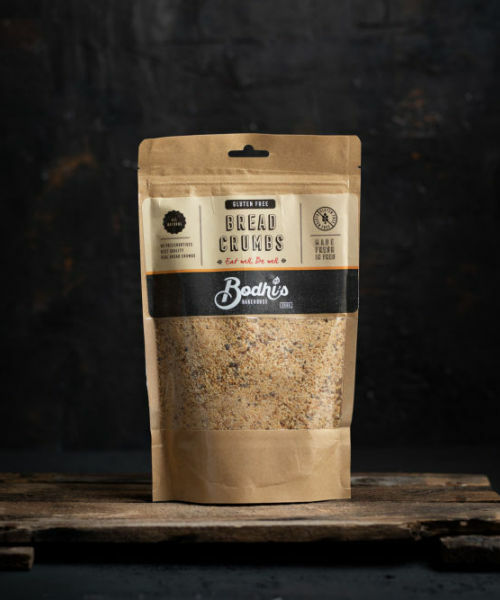 Bodhi’s Gluten Free Bread Crumb is a great crumb mix that includes all the goodness of wholegrain soy and resistant starch rich maize starch. 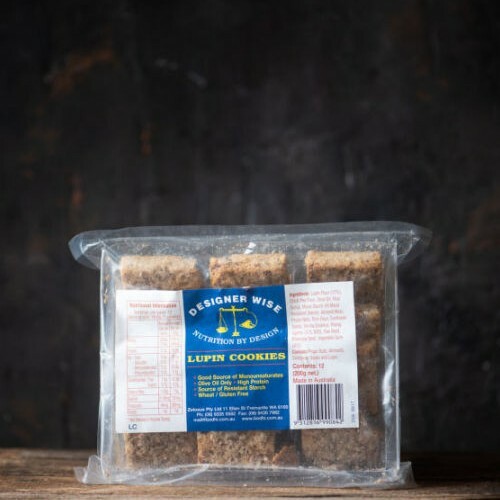 An unobtrusive crisp bread crumb that tastes just like regular bread crumbs that have been made for so long by mothers Australia wide. 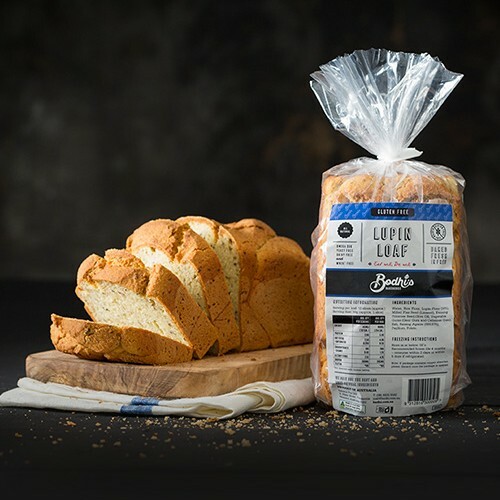 Perfect for mixing with a rich blend of herbs and spices (don’t forget to use some thyme) and crumbing up a classic, but gluten free, chicken schnitzel or to once again enjoy as stuffing in a large slow roasted chook. 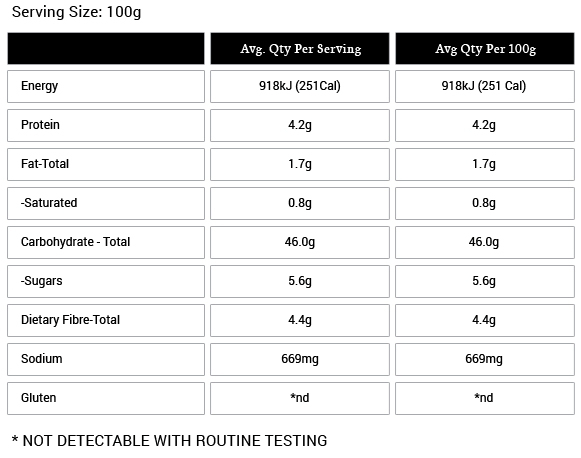 Maize Starch, Rice Flour, Soy Flour, Potato Flour, Flax Seed, Sunflower Seed, Evening Primrose Seed,Tapioca Starch, Potato Starch, Filtered Water, Chia, Thickener (1422, 464, 412), Raising Agent (Sodium Carbonate, Glucono delta-lactone), Corn Starch, Iodised Salt, Olive Oil, Vegetable Gums (Xanthan Gum), Emulsifiers (471, 475, 481), Vegetable Oil, Psyllium Husk, Antioxidant (307), Vitamin (Folate, Thiamine).